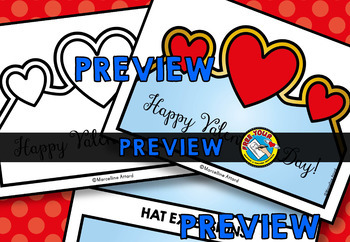 Kids will love making and wearing this Valentine's Day crown! 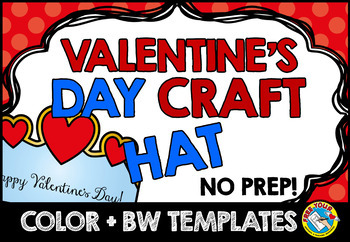 This resource contains a cute hat template, both in color (2 versions) and bw. Simply print and go! 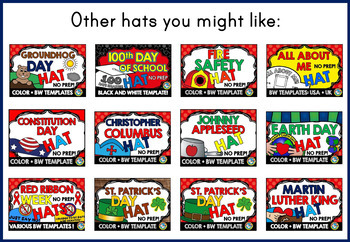 Children can look at the colored template to color their own hat or color and design their hat as they wish. Cut out and staple the strap from one side. Place around the kids' head and adjust. Assemble the strap (referred to as hat extension in resource) to the hat from the other side and let the kids have fun! If one strap is not enough, simply use two straps. 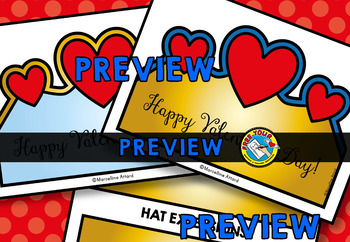 CHECK OUT ALL MY CROWNS/ HAT CRAFTIVITIES!